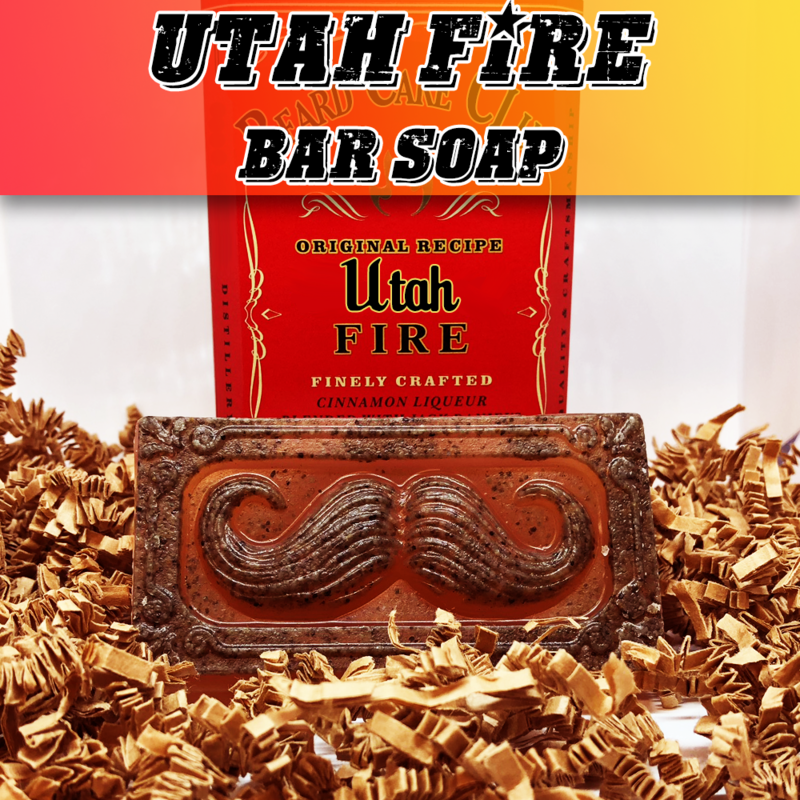 Utah Fire Bar Soap is a spicy cinnamon and musk smell, Made with bentonite clay which is said to be good for detoxing the skin and help with skin allergies. This soap is made with cinnamon whiskey, and the mustache on the bar makes a perfect gift for that mustached man (or woman) in your life. As always, this product is proudly manufactured in the USA.